Harsh words from the Salt of the Earth and Paris, Texas director. He continues, “The trouble with iPhone pictures is nobody sees them. Even the people who take them don’t look at them anymore and they certainly don’t make prints.” This of course has ruffled the feathers of many the Instagram folk who dubbed him elitist and out of touch. Ah, the irony of millennials complaining about baby boomers complaining. While I get the gist of what he wants to say, the choice of words and the highbrow demeanor leaves much to be desired. 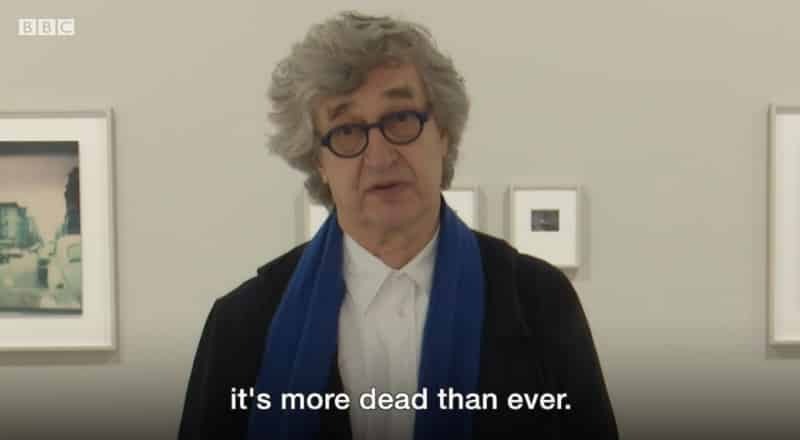 Lest Mr. Wenders forgets, photography was scoffed at by painters over a century ago, then 35mm had its struggles for legitimacy with its larger format siblings some 70 odd years ago, polaroids were the “digital” of their day, so on and so forth. Or is the BBC conveniently editing the interview to provoke? As with virtually all squabbles throughout history, it pretty much boils down to definition. It begs the question, what is photography, the medium or the art? I believe that blurry out of focus distinction is the source of the problem. Not all people who use a pencil are writers, not all people who throw something together in a frying pan are chefs, so by this logic not everyone with a camera is a photographer. 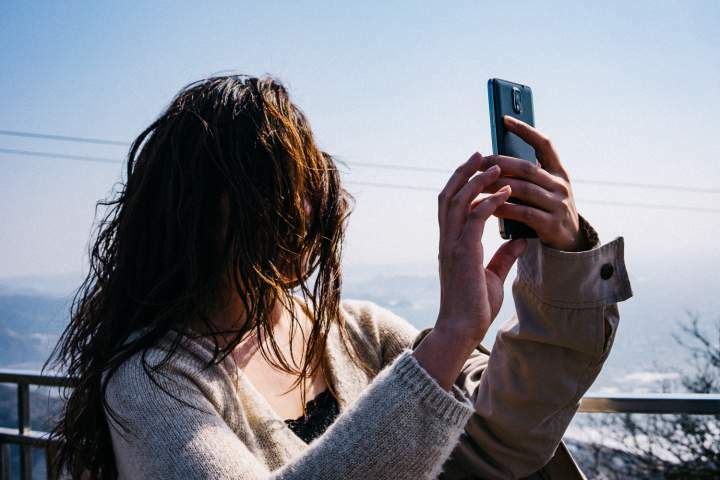 While I don’t think a person can not be an artist if they use a cell phone camera, I believe he wanted to point out more that the use of mobile devices inhibits an individual’s growth as an artist or even the drive to approach photography that way. Fair enough, it’s a matter of education then. I wouldn’t have said that photography is dead, it’s just transformed. “Photography was invented to be some sort of more truthful testimony of our world than painting. It’s not really linked to the notion of truth anymore. People look at photographs and think something’s done to them.” I imagine he’s referring to something like this. But as they say in Australia, “Yeaaah, naaah.” Photos have been doctored, altered and staged since the beginning. Stalin has purged figures from Soviet history, Doisneau staged “The Kiss”, raising the flag on Iwo Jima, even photographic demi-god HCB is guilty of hypocrisy with cropping out massive sections of frames. Again, photography’s just transformed. I’d also argue that if everyone had their hands on a point and shoot like say a Contax T2 60 years ago and had an easy platform to share their images, the proportional amount of supposed sh*t wouldn’t be any different from today. Now that there’s way more people and more accessible cameras, the Pareto Principle can easily explain why we have to filter through so much more crap to find the good stuff. Same applies to music, movies, any human endeavor really. And what is the good stuff, who can judge art anyways? I believe the only answer is time. The Van Goghs and Allan Poes would’ve concurred. “I’m in search for a new word for this new activity that looks so much like photography but isn’t photography anymore. Please let me know if you have a word for it.” It’s this constant need of labeling in our society that divides us, yet another extension of the film vs. digital or left vs. right debate that hinders human harmony. Yeah, rarity and the difficulty of achievement are important keys of art and thus I have more respect for someone that shoots manual and takes into account surroundings and lighting as well as subject over a willy nilly snapshot. 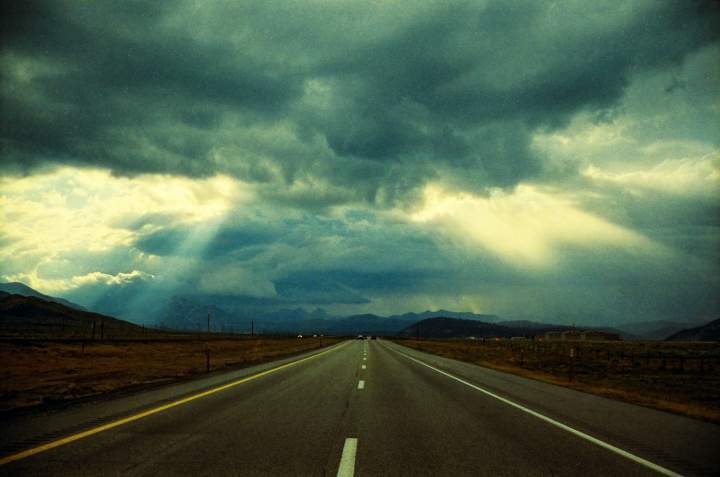 But what we don’t need is labels, we need the long constant road of education. I could be wrong…I suppose only time will tell. The word for this “new activity” is making images, a really old concept. A camera is just a tool like a paintbrush, oils, palate, canvas … Digital/analog, monochrome/color, blurry/sharp, legacy/modern lens, zoom/prime … It doesn’t matter. They’re just different tools for creating images; one is intrinsically neither better nor worse than another. You make images with what you have. There’s really no reason to discount the iPhone/Android. The argument that they don’t look at cellphone images or print them is bogus. How many printed photographs [or slides] were looked at once [or only a few times] and then put away? Of course they had to “print” the negatives/positives, otherwise they couldn’t see them. Ultimately photography is a way of making an image with a (literal and aesthetic) point of view. Categorizing them is a bit bogus, just a way of pigeonholing. Ask a photographer are you a … photographer? A reasonable reply: I am a photographer. Yes, but it might be that the use of the word “image” is precisely at the heart of the issue. Most users of iPhones are making images, not photographs. To me, a photograph is something that is viewed as a reflected print at full resolution and tonality, with a physical permanence, while an image is simply an iconic minimization of a data set. The difference is a vastly different viewing experience, and more importantly, an emotional experience for the viewer. While an iPhone image could become a photograph, the vast majority of its images are fleeting, with minimal impact upon the device viewer. Those images are math equations, and only subject to interpretation and distortion by the electronic display used for viewing, varying from user to user. The images never take on a physical presence and permanent bedrock. A Polaroid was meant to be a final print with physical reality. And while those photographs are not my cup of tea, at least they are complete—not a data file sitting out in the ether, spinning on its own axis. We are swimming in a sea of images, while photographs and photographic prints have become elusive, perhaps even rare. Agreed it is not the tool but the person who creates art. 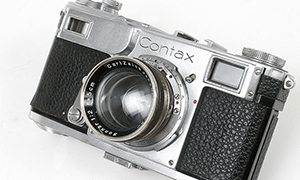 But the Contax T2/iPhone comparison does not stand up to scrutiny, and false equivalence. 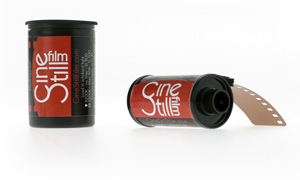 Oh boy, why can’t we just get along and revive the old firefight about digital vs. film? I’m old enough to recall envelopes full of negatives on one side and glossy color prints on the other. Digging through even older envelopes, you might find B&W negs & prints . Families shot hundreds of rolls of color film in the late ’70’s through to the beginning of the digital age. As for not looking at the pics people take, let’s fact it, most of what we ‘snap’ is crap anyways. Ansel Adams once commented that the goal of a photographer is to produce 10 good prints a year. That’s a small return vs. the amount of film we shot back then. I’m seeing wonderful books being made by people using on-line printing services, so work is being put out there and being shared. I really don’t have horse in this race, because I sit in my BD (before digital) workroom and make B&W prints from my film negatives. In my entire life since getting an iPhone, I may have shot about 500 pics. I just don’t think of the device as a camera. That’s my problem. On another point of view, to be taken into account in the creation of the image/photography/story/painting/… is also the viewer. It takes two to create a meaningful encounter between photographer and viewer through a photography. I’d like to make another comment: The flag raising on Iwo Jima was not staged or altered. The original flag raising was made with a smaller American flag, when Joe Rosenthal snapped his iconic photo, the Marines had found a larger flag and were in the process of raising the new flag. The switching of the flags was because the smaller flag was not easily seen from the valley below. The “Kiss” photo, although staged by employing two of Dosineau’s friends, had been observed by the photographer watching other, unknown couples on other occasions, and he was under pressure by LIFE to make his photo essay of Paris. So, he re-created what he had seen before. Self portraits (aka selfies) cannot be so easily dismissed. While they can be banal/uninteresting, they don’t have to be. Leica added a self timer to the iiif, enabling the photographer to be in the picture alone or as part of group. Photographers could send their iiif to Leica to incorporate a self timer.. There obviously was a market for self timers. Cindy Sherman creates self portraits that bear no relationship to her actual persona; instead, by employing sometimes elaborate costumes, she reconstructs historical characters and invents new ones; Catherine Opie photographed her bloody, scarred back; Peter Hujar and Vivian Maier, among others, made self portraits, sometimes using mirrors, reflections or shadows. Photography is simply the process of creating an image with light. It does not mean you need a camera or optics–there are cameraless photographs. Making composite images from other photographs with scissors or Photoshop is not properly photography. That would be design. The photographer is the one that uses light to make an image. We often confuse photographs (a thing) with photography (a process) (yet, we don’t confuse paintings with painting). It’s actually difficult to define photography, since it is highly dependent on technology. Since photography does not require a camera, photography includes raygrams, 2D and 3D scanning, photocopies, MRIs, CAT scans, etc. Wim’s comments are silly. The fastest/easiest clickbait there is is to declare something dead.